"I value the walkability that our office location provides – from taking a quick walk to the grocery store to grabbing a quick lunch." 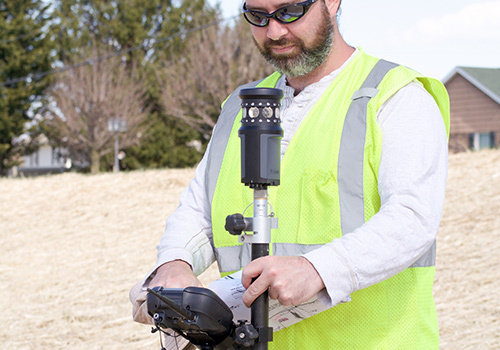 Land surveying is an integral component of all infra-structure design, construction and rehabilitation projects. 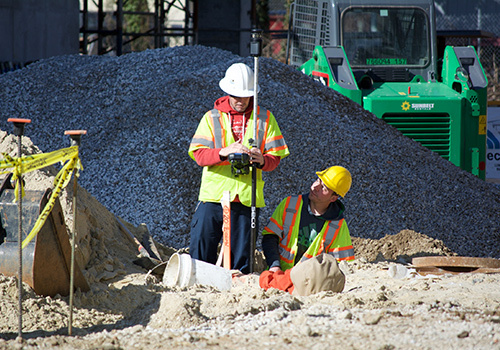 CEM’s surveyors ensure the legality of land ownership by carefully establishing accurate boundary locations, and ensure that construction activities are conducted in a safe, efficient and economical manner. 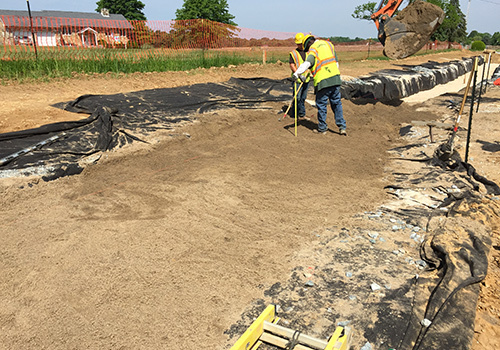 CEM was tasked with conducting a 157-acre metes and bounds survey for this wetland mitigation site, including: field traversing, boundary determination computations, property marker re-establishment, and work map preparation. 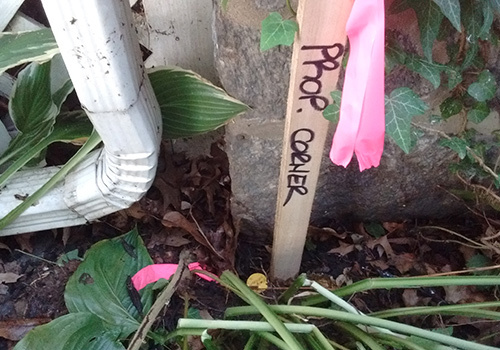 There were minimum boundary descriptions and property evidence from adjoining properties, which created a deficit in information to execute the project. With a commitment to clear and proactive communication, CEM engaged with property owners and accurately established boundaries by creating a digital mosaic of old deeds, and overlaying the mosaic on present-day aerial imagery. The creation of a 26-acre wetland mitigation site will help offset any potential wetland impacts associated with future improvements of MD 404 in Caroline County. CEM joined forces with SHA on this project in May 2015 and successfully completed the project in April 2016. CEM staked out reference points to guide construction of this road intersection improvement project, including: silt fence placement, paving edges, road widening limits, storm drains, and a bio-swale to redirect road runoff. CEM uncovered numerous inaccuracies with design plan elevations for the proposed improvements, which would have resulted in significant construction cost over-runs. CEM worked quickly with SHA to provide a cost efficient solution, which did not compromise the original design. By widening the road and installing a full-color signal at the intersection of MD 272 and Tiger Drive, students, teachers and parents will have a safer driving experience when entering and exiting the campus of Rising Sun High School. This ongoing project with Allan Myers began in October 2015. 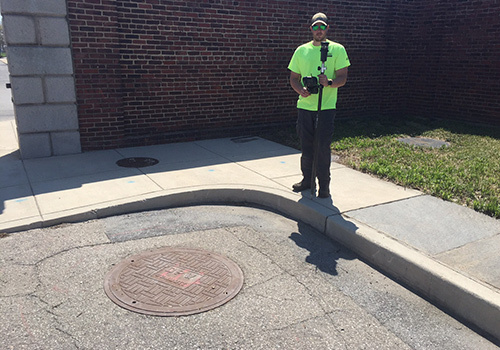 CEM conducted a 5-acre topographic survey of this local community stormwater system, including rims and inverts of stormwater outfalls, concrete channels, sanitary sewer lines, trees, and fences. CEM encountered large amounts of debris and sediment, which blocked the existing storm water management system creating challenges while locating and measuring structures. To overcome the limited access of the study area, CEM utilized alternative measurement methods to achieve comparable data collection accuracy and precision. Upgrading the Heritage Hills community stormwater network will effectively redirect storm flows, minimizing the current problem of frequent flooding of private properties. CEM began working with the Anne Arundel County Department of Public Works on this project in February 2016.